Whether you’re new to taking an RV on the road or have been doing it for years, taking a teen along can present unique challenges. Based on my own experience, teenagers seem to want their own independence on their road to adulthood and start seeing family holidays as a chore. Here are 12 ways to make RVing more fun for teenagers. They will give you some ideas that I hope you find useful. 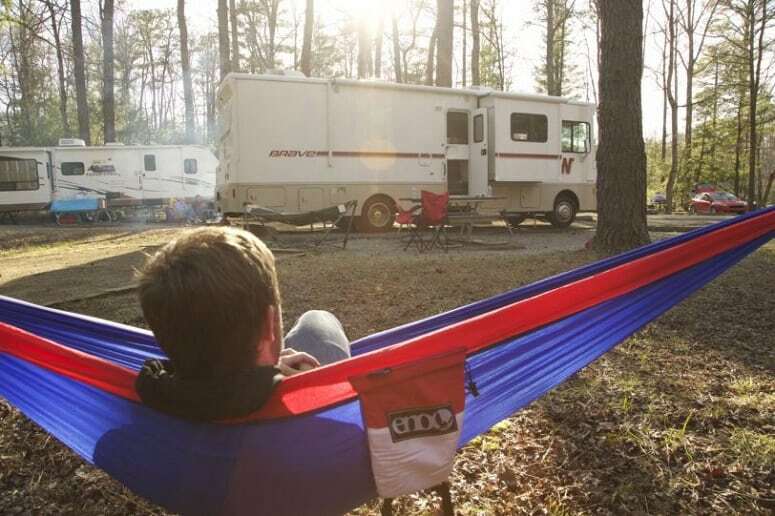 Re-engaging your teen can place a whole new perspective on an RV break. Giving your teen some responsibility can help make them feel more involved. We all know that some of a teenager’s favorite phrases might include things like, “Do I have to?” or “Not now, I’m busy.” Don’t give them an option, instead, delegate some responsibilities to them. Taking care of their own jobs can make them feel involved. Before your trip, get them to pack their own things. This gives them the chance to make their own choices about what to wear or what to take to entertain themselves. Just remember to come along behind them and make sure they have the essentials. They might not consider a warm coat for evenings, or sensible walking shoes and sunscreen for hiking on a sunny day. Get them to help in setting up and packing away at a campsite as well. They might complain initially, but having responsibilities can help them gain a sense of achievement from a job well done. Like it or not, technology is a huge part of teen life. The likelihood is their phone is permanently affixed to their hand. If not, they are glued to a screen, whether gaming or watching television. Whether to allow your teen access to social media or games is a very personal choice. You might find they will surprise you. They could take more interest in what’s going on around them when they can post photos on Instagram, or share their trip experiences with friends. Compromising may be the key element here. You could restrict their use of technology so it doesn’t take over the whole trip. Maybe make sure you head somewhere with an electrical hook-up every other night, so their devices can be charged. Another consideration could be to stop at campsites that have an internet connection or WiFi. This will allow your teens to stay connected with what’s going on with friends. Have an allocated time for use of technology. This is a way to ensure your teenagers get their all-important airtime, but also spend time with the family. Surely, the mere mention of playing a board or card game will initiate an eye roll from most teens. It might take a bit of insistence on your part, but once engaged, teens usually do enjoy playing family games. Games like Uno, Snake Oil, Bang!, and Apples to Apples, are some traditional family favorites. Ask them what games they like to play, or have them pick out a few of their own favorites. You could take them the store beforehand and let them pick out a new game to play. This is a great way to make them feel like they’re in charge of the situation. The idea of RVing is often to get away from it all, isn’t it? Since teenagers aren’t exactly looking for an escape, why not have the best of both worlds? Setting up a family movie night during the course of your trip will please your teenagers. Of courses, all members of the family will want to watch their favorite film, but why not let your teen choose something that’s appropriate for the whole gang? Their choice might not be so appealing to the adults, but at least your teenager is happy. Don’t forget the snacks and popcorn. Most teenagers will have an interest in something in particular. It could be music, art, history, or sport. Let them take part in planning where you will stop. There may be a particular museum in a town you’re passing through that they would enjoy. Perhaps stopping near a lake where they offer kayaking or other watersports will be appealing to them. There are a number of activities such as fishing, biking, beach combing, hiking, surfing, or swimming they might enjoy. Taking their interests into account, and fulfilling their requests, within reason, can make for some fun family time. You might even try things you had never considered before, and find yourself enjoying them. You may notice by now there’s a pattern forming, getting your teenagers involved, especially in the decision-making. Mealtimes are no exception to this. After all, most teens want to know where their next meal is coming from and what it’s going to be. Given the chance, they will eat you out of house and RV. Let them help when planning your meals, so they know what they have to look forward to. You could even get them to help with the preparation and cooking of meals. It’s an ideal time to teach them how to set up a BBQ and give them the responsibility of cooking on it. In the mood for some s’mores after dinner? Then let them be in charge of making and cooking this over the campfire. This sweet gooey treat is sure to be a hit with the whole family, and your teen can take credit for its creation. Speaking of campfires, this is a skill you can teach your teenager that they can take into adulthood with them. The day might come when they have their own family and decide to go camping or RVing. This could be their responsibility throughout your trip. I dare say it will be more fun for them than washing dishes. Another good thing about the campfire is it’s a perfect time to connect with your kids. You might find your teen, with a little prompting, will open up about school, interests, and life in general. It’s also a good time to reminisce about past holidays. If you have space, letting your teenager take a friend along with them can help them feel less isolated. They might find younger siblings and parents annoying — most teens seem to. Someone their own age, sharing their experiences, is always more fun for them. If this is not an option, and you know other families with kids of a similar age who RV, try and arrange a trip together. The company of like-minded teens is sure to be appealing and might stop them complaining about having no friends to enjoy pastimes with. This might be a little left of center, but if your teen has a driving license, why not let them share in some of the driving time? This is another way of giving them responsibility and will surely make RVing more interesting for them. Just remember to add them to the insurance policy. Before your trip, you could get them used to driving the RV in a large parking lot. Make sure they can maneuver the RV well, and that their spatial awareness and depth perception are strong. Then you can be their co-pilot when the roads are suitable enough for them to take the wheel. Teens always appreciate their own space. It could be a great idea to take an extra tent along with you, and let them sleep outside. If you don’t like the idea of them sleeping alone, at least they will have a private space that they can escape to if and when they need it. Giving your teenager their own space will let them know that you not only trust them but that you’re also supportive in them starting to build their own independence. Additionally, it will give them a bit of precious privacy that they can’t get inside the RV. Going out for a meal, walking in the woods, playing football or just swimming in a lake gets you away from the RV for a while. Let your teenager choose what they would prefer to do. Maybe you could all take lessons in an activity you’ve never done before. If you happen to be near snowy areas, you could learn to ski or snowboard. There is nearly always a mountain nearby. Why not attempt supervised rock climbing? This will let you and your kids escape the confines of the RV and give you valuable family bonding time. 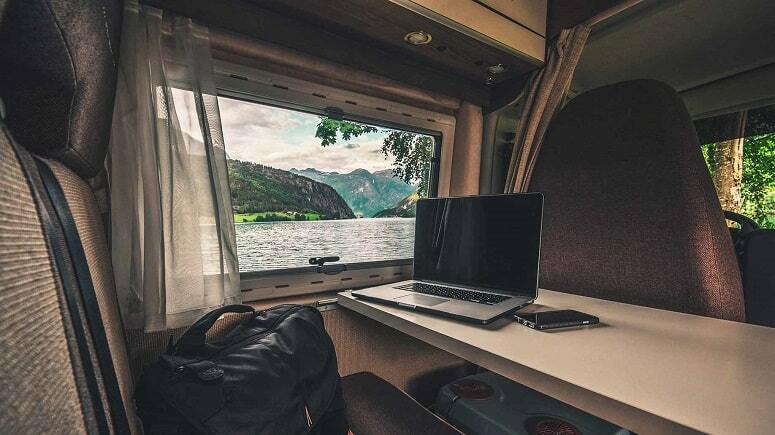 It could even open up a whole new list of destinations for future RV vacations. With work, school, and after-school activities, life has a funny way of taking over. We most likely don’t get as much time to connect with and talk to our teens as we’d like. 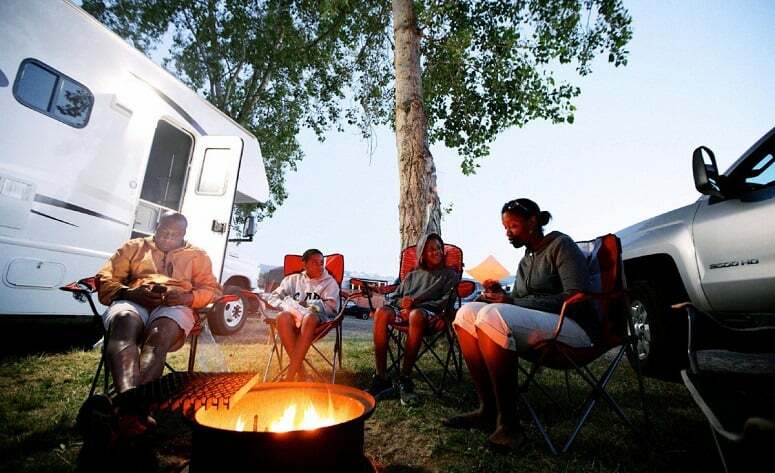 A break away in an RV gives you the opportunity to spend time with them and find out what’s going on in their lives. Listen to them and what they have to say. You might be pleasantly surprised at how much you learn about them and their interests. Not only that, it will let your teenager know you are interested in them and what they do. It also lets them know that you still care, especially if your teen is a little rebellious. It won’t be too long before they’re off to college, or working and starting a life of their own. Make the most of their teenage years while you still can. They end all too quickly. As challenging as teens can be, they will be adults before you know it and family vacations will become a thing of the past. Keeping them onboard as long as possible will create long-lasting memories for them and you. This list of 12 ways to make RVing more fun for teenagers might help keep them engaged, and give you a valuable insight into their world. 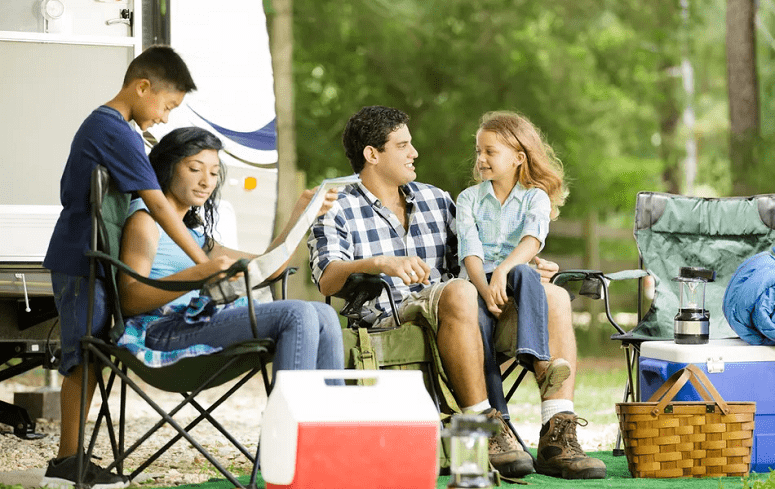 If RVing is more fun for your teenager, then it will be more fun for you and the rest of the family as well. We hope you enjoyed our guide and that you continue to have many RVing vacations with your teen(s). If you have any ideas to add, we would love to hear them. Please leave us a comment, and don’t forget to share with others who can benefit from these tips.